Get the E-book for free !! The future is ready to witness the advent of jobs that are complemented by powerful software using Artificial Intelligence, Machine Learning and Natural Language Processing. We are already witnessing new and powerful ways of co-working and team formation. Distributed teams are using the social media to recruit team members in remote locations. The process of hiring is becoming more efficient and organized as like-minded individuals are able to find each other more quickly. We are on the verge of a major paradigm shift. Advances in the internet, mobile and cloud computing technologies are transforming the way we collaborate and communicate with our colleagues. We are observing a worldwide acceptance of a new work culture of innovative but small teams that are disrupting old and established business models. 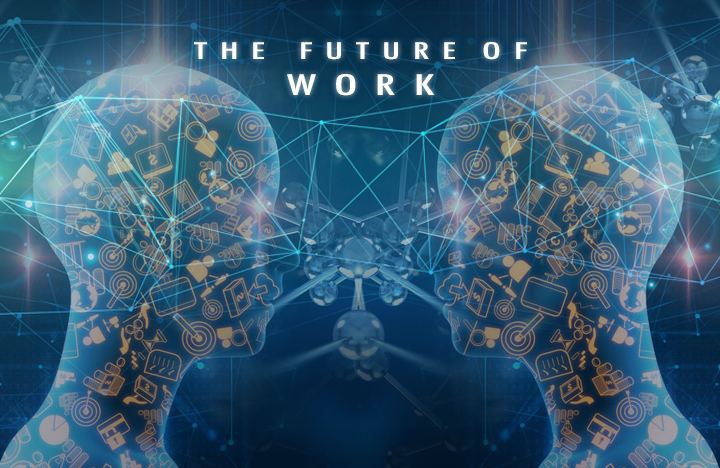 This E-book brings to light the “Future of Work” in an automated and Artificial Intelligence driven world of tomorrow. It will help the readers and their companies to streamline and transform themselves into flat organizations which will thrive in the world driven by Artificial Intelligence. Who should read this E-book? If you are the brain of your organization – you should! You may be the founder of a company that will shine in the future. You may be one of those, who are bringing a change in your company to evolve with the upcoming growth. You may be the one, who is working towards bringing transformations in hiring and people management that will help shape the future work environment. This e-book is a must read for heads of organizations and leaders of hiring and work environment.